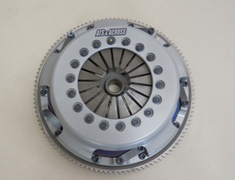 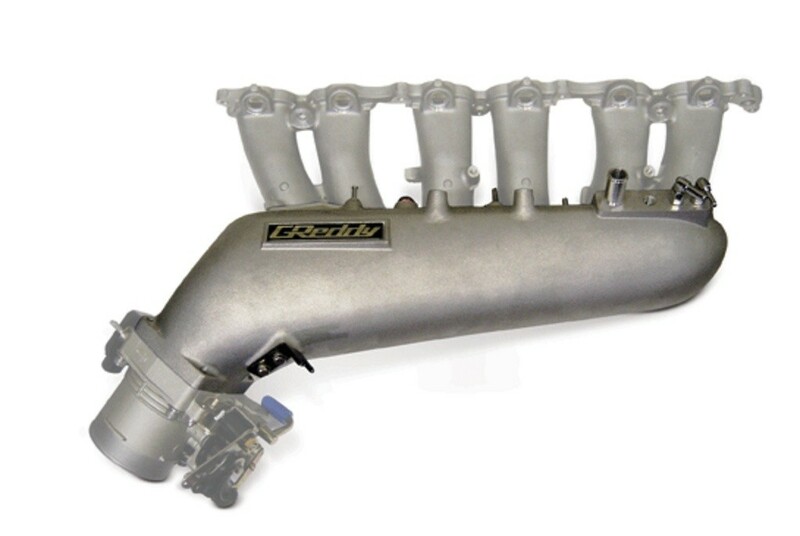 The Trust Greddy intake plenum enables more airflow increasing engine effiency for the Toyota Supra. 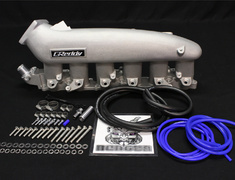 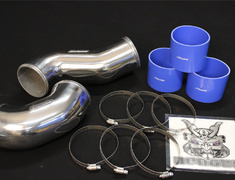 The new GReddy Supra Intake Manifold Kit creates maximum airflow for maximum performance! 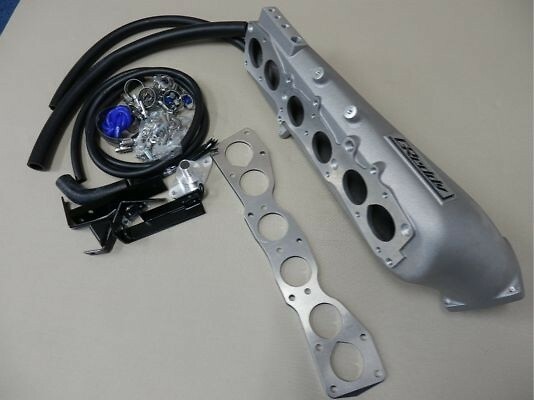 While a turbo upgrade like the GReddy T88 is a major step up for increased airflow on your Supra, the new high capacity intake manifold completes the job by giving you maximum airflow into the combustion chamber. 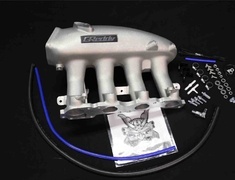 The GReddy Supra Intake Manifold kit was designed specifically to work with larger turbos in an ultra-high flow environment. It adapts a huge 90mm diameter (Q45) throttle body to an ultra smooth flowing 4.5L cast surge tank. 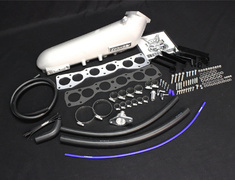 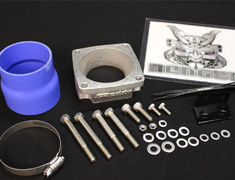 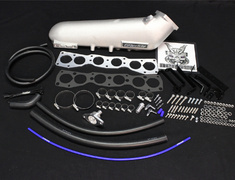 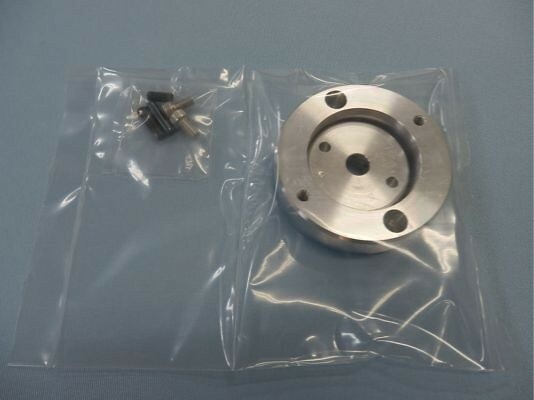 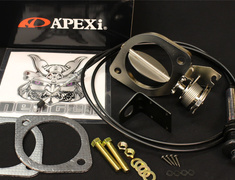 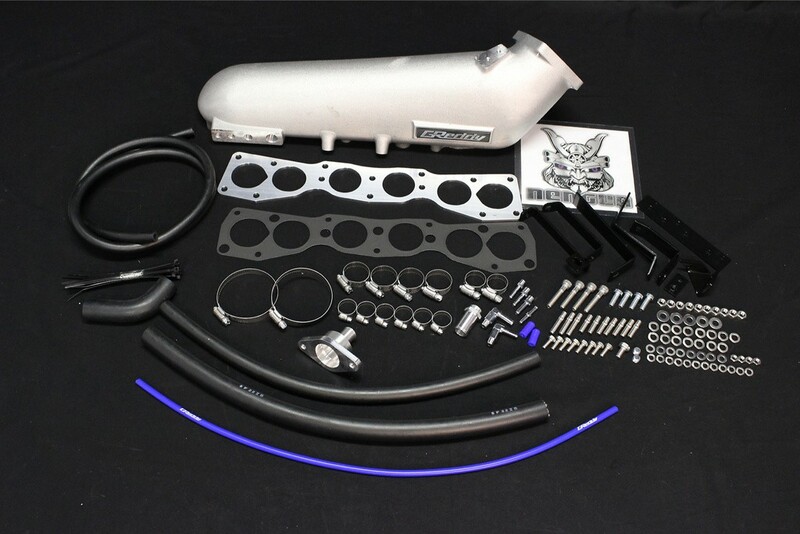 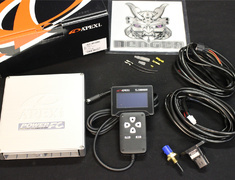 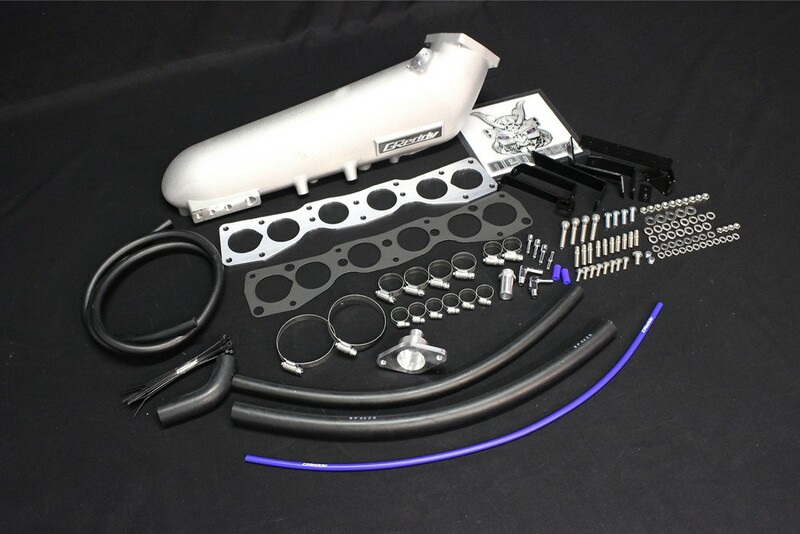 The kit also eliminates the restrictive ETCS (Electronic Traction Control System) and includes the required throttle cable and adapters to bolt onto the factory runners and reconnect the factory intake manifold sensors.